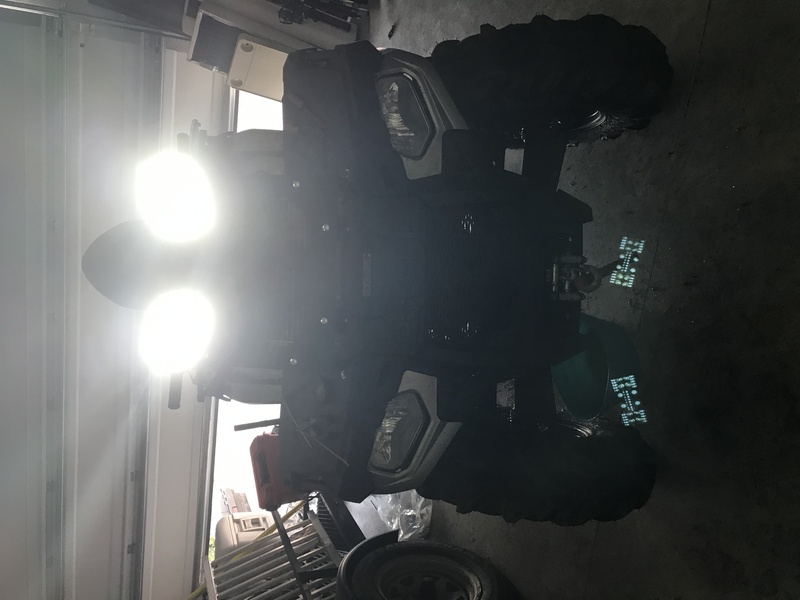 So, more issues with my 2018 Sportsman 570 Touring SP. Got the radiator sitch all worked out with no issues and running great. I had to empty the cooling system again to mount LED pods on the top corners of the rad-relocate shroud and wanted the wires to be run under the storage hood to the switch on the handle bars. No issue, got the lights mounted and wired, look great, work great etc. I fill the cooling system back up, take her for a spin, and now the fan doesn't turn on. So I take off the fan, hook it to a spare 12v battery and runs just fine, so it's not the fan. Empty the cooling system again, check all wires, connections, etc and no issues to be found. Tells me that it's either the fan resistor in the fuse block, or the temp indicator switch is somehow mal-functioning. I'm debating on just wiring the fan to a switch and operating it manually. My daughters 04 Honda 450 has it's fan operated this way and she just starts the fan each time she starts the bike and it runs all the time. Anyone see any issues with doing this? My bike has 19 hours on it currently and was purchased new less than 4 months ago. I'm interested in how you wired your switch in. I just broke my fan and want to make sure that I can turn it off when I need to. I'm debating on just wiring the fan to a switch and operating it manually. My daughters 04 Honda 450 has it's fan operated this way and she just starts the fan each time she starts the bike and it runs all the time. Anyone see any issues with doing this? My bike has 19 hours on it currently and was purchased new less than 4 months ago. The only issue with running the fan full time is it takes longer to warm up, never actually reaches full operating temperature and with EFI it will use more fuel. Other than that, Micky Mouse will approve the work around. High beam turns on ! !